Variohm EuroSensor has expanded its range of industrial pressure switches with the new EPS03 series, offering five model variants with diaphragm or piston actuation covering adjustable switching pressures from 0.5 to 350 bar and industry standard ambient temperatures from -25 to + 85°C. With the introduction of new versions incorporating 16 RJ45 ports, Harting has extended its Ha-VIS eCon range of ‘plug & play’ industrial Ethernet switches. Rockwell Automation has expanded its Allen-Bradley Stratix family of industrial switches with the Allen-Bradley Stratix 5400 switch, an all-gigabit option that helps manufacturers achieve higher network speeds for their increasingly high bandwidth applications. The switch also supports both Layer 2 switching and Layer 3 routing for a range of network configurations. 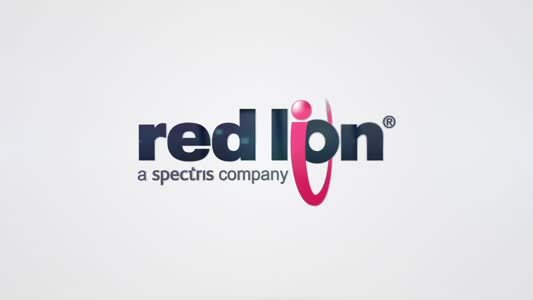 Red Lion Controls, the global experts in communication, monitoring and control for industrial automation and networking, have announced the addition of the N-Tron® series 1008TX unmanaged Gigabit Ethernet switch to its industrial networking solutions portfolio. To provide more power to connected system devices Harting is exploiting the Power over Ethernet (PoE) standard in its latest range of Ethernet switches. With the introduction of the 122MS series of cylindrical safety switches, elobau has extended its range of magnetically actuated safety switches in stainless steel. Harting has introduced two new families of unmanaged Ethernet switches that are optimised for use in harsh industrial environments and offer a choice of compact designs for economy and ease of installation in a variety of customer applications. Switches, sensors and enclosures specialist, Bernstein, will showcase how its contactless safety monitoring switch, CSMS, ensures compliance with ISO 14119:2013 at Southern Manufacturing. Mainly used for isolating the incoming electrical supply to a machine or a piece of equipment, Switchtec's SCL IS series of rotary isolators can also be used as the main on/off switch or as an isolating switch for general isolating duties, or as emergency padlockable on/off switches in the contractor and control industries. New from Festo, the programmable SDAT-MHS range of pneumatic cylinder position transmitters is economic and easy to set up, providing accurate position feedback over stroke lengths up to 160mm, enabling engineers and machine builders to gain position feedback and conduct simple object measurement or identification. Visitors to Eaton’s stand will see the company’s latest innovations in automation technology and smart power distribution systems, and will be able to find out how these can help them successfully implement projects faster, more economically and with optimum energy utilisation. Variohm EuroSensor has expanded its range of inclinometers with the new IS-120 single-axis tilt alert switch for simple yet effective slope indication where in-range and out-of-range inclination or level position needs to be safely monitored. New from Weidmuller is the Termseries range of relay modules and solid-state relays with one or two changeover contacts housed in a slim line design with screw or tension clamp connectivity. Designed for use in extreme environments, Red Lion Controls has launched a new N Tron series of compact high voltage industrial Ethernet switches. Rockwell Automation has expanded its Midrange system portfolio of scalable Allen‑Bradley servo drives, variable frequency drives, industrial Ethernet switches, and unified engineering and design to help machine and equipment builders reduce cost and complexity. From the simple and compact TNC 320 to the sophisticated TNC 640, there’s a HEIDENHAIN machine tool control for any application.